Eve has a new home, a new face, and a new name—but no memories of her past. She’s been told that she’s in a witness protection program. That she escaped a dangerous magic-wielding serial killer who still hunts her. The only thing she knows for sure is that there is something horrifying in her memories the people hiding her want to access—and there is nothing they won’t say—or do—to her to get her to remember. Why did I read this book: I loved the sound of this novel plus I had an extremely good experience with the author’s previous book, Vessel which was a favourite book of 2012. Eve doesn’t recognise the face when she looks in the mirror, she has no true memory of her past and can barely function in the present. Everything – from walking and talking to understanding how the world works is all new to her. She’s been told she has lost her memory. She’s been told she is in a witness protection program for paranormal creatures, hiding from a creepy serial killer who is out to get her. She’s been told she is the key to find him and to stop his killing spree. She’s been told she needs to remember before it is too late and more young kids disappear. She’s been told she can trust the people who are helping her even if they look at her with distaste and mistrust. There are certain things she knows though. She knows she has undergone several reconstructive surgeries. She knows she can do magic – she looks at the mirror one day and decides that her eyes were actually green before and just like that, they are changed. She knows that every time she uses her magic, she passes out and has horrifying dreams (or are they visions?) always featuring a carnival tent, a magician, a storyteller and creepy dolls. When she wakes up after those black-outs she realises that days or sometimes even weeks have passed and she has no short-term memory of those moments. 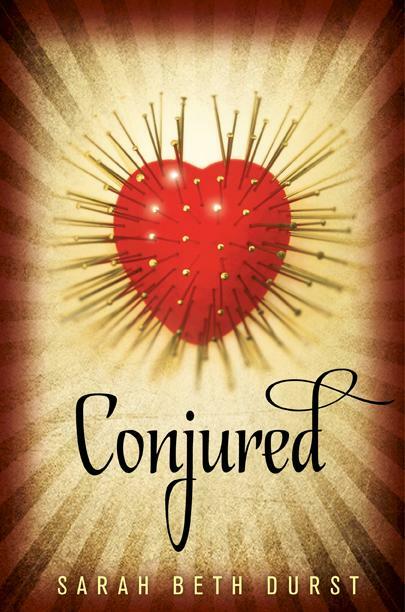 Conjured is a beautifully constructed novel that goes from utterly disorienting to exceptionally horrific as its story progresses. It features an ubber-creepy carnival, a supernatural serial killer and an amnesic narrator. But its true core is a story about agency and identity and what it is like to forge both when there is no memory, no past, no sense of true self to start with. It is more or less divided in two parts: the first is a progressive build-up to the revelations that appear in the second part. The former, a disorienting advance toward the truth about Eve, the latter an affecting horror story unlike anything I have read of late. What impresses me the most about the novel is Eve as a character and the writing of her narrative. Since everything is from her point of view, we only ever know what Eve knows and she knows very, very little. When she wakes up with no memory, we are as lost as she is, not knowing who to trust, what happened in the past days or weeks. It is not only disorienting but also claustrophobic. More to the point though, I loved how the author took such a gamble with Eve because she is essentially a blank slate narrator. To start with, she has little personality and no agency. And it is very interesting to see the way that the character progresses, not knowing who she is, what she can do, and what happened to her. Which is awesome because I sometimes feel that “strong female character” is often compared to kickass and immediately assertive so it is kind of a breath of fresh air to have a character like Eve who is developing her sense of self slowly and who is a quiet, timid character without being any less strong for that. When the second part comes and the deeply cruel, creepy and dark nature of her story is finally revealed, we come to have not only a deep understanding of why Eve is like she is and how important it really is when she finally voices her choice and forges her own sense of self. All of this was superb: from the puzzling narrative to the development of Eve as a character, from her visions and fear to the creepily awesome horror in the latter part. My only real misgiving about the novel comes with its romantic storyline and I confess to be on two minds about it. On the one hand, there is an element of insta-love as Eve has an almost immediate connection to a boy named Zach whom she meets at the library where she is sent to work. I was immediately put off by Zach when as soon as he met Eve she told her point-blank that they could never be friends because he wanted to kiss her. Okay, then. On the other hand, Zach turn out to be a nice boy, who never lies (there are Reasons) and who is completely loyal to Eve. It is yet another breath of fresh air to have the guy be so besotted and awed to the point of being ready to drop everything for the girl – as abrupt as that turns out to be. The ending though is kind of perfect for them and for this story in the way that it is flawed and even perhaps, questionable. Ultimately, this book is All About Eve and I really loved it, just as it is. “I want you to feel safe here.” He did. She could see it in his eyes. And for an instant, she felt as if he’d wrapped her in a cocoon and nothing could hurt her. But then she remembered he wasn’t staying. She pushed the bedroom door open and entered. Inside the bedroom, half of her expected a rush of familiarity to fold around her like a homemade quilt. But of course, it didn’t. She studied the room: a bed with a checkered blanket and one flat pillow, a wooden dresser, a tiny desk with a chair. Eve closed the door and then sank down on the bed. Hugging her knees to her chest, she stared at the wall. The wallpaper had a swirl of leaves with birds perched on branches and caught mid-swoop in patches of blue. It was a nice bedroom, even if it didn’t feel like hers. She wondered how she even knew this was a bedroom when she didn’t remember ever having one. She’d known what a car was too, though the seat belt had felt unfamiliar. She could recognize a few kinds of birds. For example, she knew that these painted ones on the walls were sparrows and the live one outside had been a wren. She didn’t know how she knew that. Perhaps Malcolm had told her in one of her lessons. Or maybe it was a memory, forcing its way to the surface of her mind. But the sparrows she remembered flew. She pictured their bodies, black against a blindingly blue sky. She didn’t know where that sky was or when she had seen it. The birds had flown free. Eve raised her hand toward the birds on the wall. “Fly,” she whispered. The birds detached from the wall. The air filled with rustling and crinkling as the paper birds fluttered their delicate wings. At first they trembled, but then they gained strength. Circling the room, they rose higher toward the ceiling. They spiraled up and around Eve’s head. She reached her arms up, and the birds brushed past her fingers. She felt their paper feathers, and she smiled. Then she heard a rushing like a flood of water, and a familiar blackness filled her eyes. Additional thoughts: The author wrote a piece on Inspirations and Influences for us last week and we are also hosting a giveaway of the book HERE. Yay!!! I’m glad to see that 8. I ordered this book and am waiting for it to arrive. read the book from my school library its awesome!